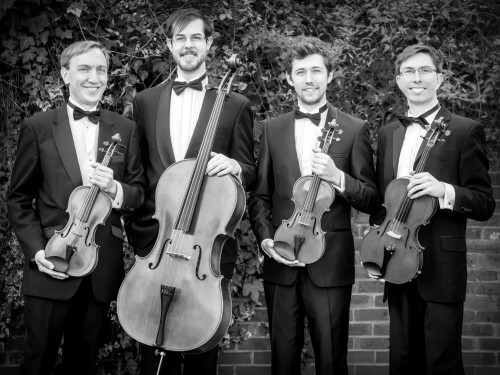 The Billroth Quartet formed in 2009 and have since performed at Cadogan Hall and St. Martin in the Fields. In 2012 the quartet performed for HRH the Duke of Edinburgh. With a varied portfolio they enjoy playing an eclectic range of music from classical to; jazz (supporting the Puppini Sisters) tango music (alongside Ensemble 360 at the Sheffield City Hall) and world music (performing and recording Ragas with singer, Akash Sottar). Members studied at the Royal College of Music, Birmingham Conservatoire of Music and Trinity Laban Conservatoire of Music and Dance. In 2013 and 2014 they appeared on television as special guests on Dave Gorman's show 'Modern Life is Goodish' series 1 and 2. They are the musicians in residence at Lauderdale House, Highgate, where they have their own lunchtime concert series. They are looking forward to a concert tour of China in May this year. The information contained in these CVs is provided by the clients of MAS. MAS takes no responsibility for their accuracy.